Greek members, Delta Maritime have recently arranged the receipt, transport and storage of 3 windmill blades as pictured above. The cargo arrived at Thessaloniki Port in Greece on the vessel, Industrial Echo, with each of the 3 blades measuring 49.03 x 3.32 x 3.12m and weighing 12.05tn. 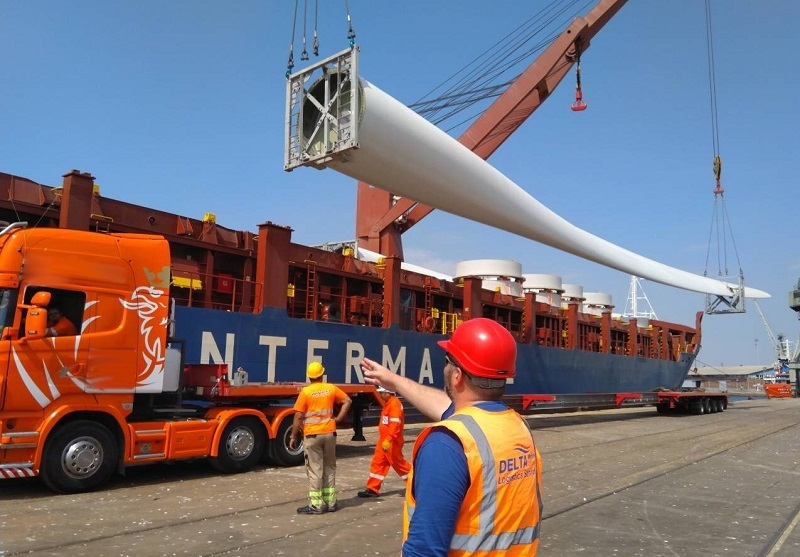 Delta Maritime took immediate receipt of the blades at Thessaloniki Port and expertly handled the loading and delivery to the port storage area. The trucks were loaded alongside the vessel during docking and the loading operations were completed within 4 hours.